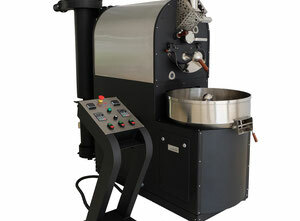 The coffee roaster belongs to the category of food machinery. 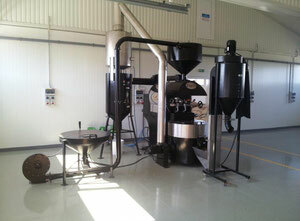 A coffee roaster machine operates using the chemical properties of green coffee beans and transforming them into roasted coffee products. 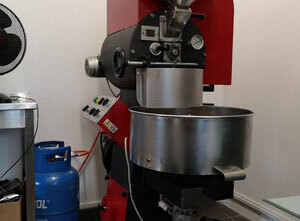 It’s this machine that produces the final taste of coffee. The operation occurs in a circular or cylindrical grill, called the roaster. 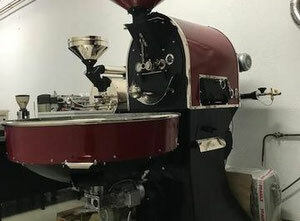 The roaster is a gas heated/electrical/wood tool that is in permanent rotation so that the grains are roasted uniformly and without being burned. 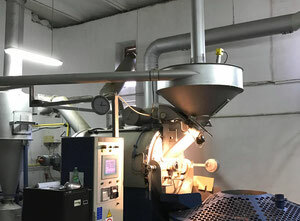 The heat, which is distributed through a furnace, consists of refractory bricks and slabs; the green coffee beans arrive from a hopper at the top of the unit. They are then introduced into a horizontal cylinder, lined with metal blades that will agitate for the duration of the roasting. When coffee is introduced into the cylinder, the temperature is between 180 ° C and 220 ° C. The arrival of a cold mass of material makes the temperature drop to 120 ° C. It will rise to 200 ° C in 15 minutes. 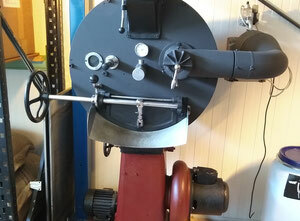 The most common roasting machines come in two basic types: drum and hot-air. The main advantage of this machine is that it can accommodate various quantities of coffee. 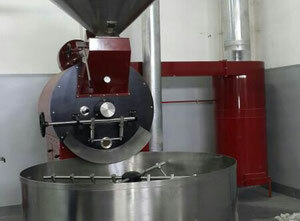 As the process of this equipment is quite simple (it’s all about heating the raw coffee beans), it’s possible for it to operate continuously without any human intervention. Furthermore, the price of this machine is quite affordable. 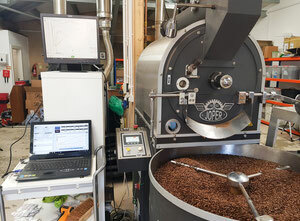 However, a good understanding of this machine is necessary, and a perfect heating temperature has to be found; if it’s too hot, the beans will be damaged. Not enough heat, and the beans will be tasteless. With Exapro, you can filter your searches according to the machine’s coffee capacity (in kilos). 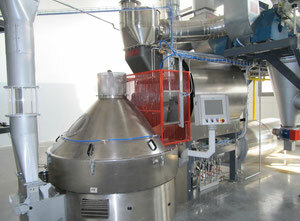 This machine is used by industrial coffee producers. But it’s also possible to find this machine in coffee stores. 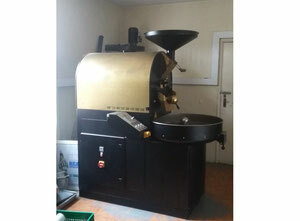 There are also home roasting machines available. 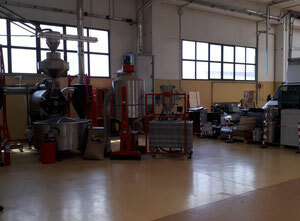 The current Exapro catalogue has more than fifty used industrial coffee roasters. In our catalogue, Exapro has some of the highest quality international manufacturers, such as Probat coffee roaster for sale, Petroncini coffee roasters, Vittoria coffee roasters, and many other popular products. You can find these used machines for an affordable price in our catalogue. Don't hesitate to check our catalogue for used machines and contact an Exapro agent if you have any questions. It’s also possible to sell your used machine(s) with Exapro.